The menopause can shake up your exercise routine and not always in a good way. The quotes you used to find motivational don’t make much sense to you now. If you start thinking about exercising again. It is useful to think about what has triggered this as this is your motivation that will keep you going. At some point you will move into maintenance mode where it is an easy habit for you to maintain. Another phase is relapse which can happen at any time, as in sounds you relapse back to not exercising. It is useful to understand where you are and also taking note if you are not moving onto the next phase and feel stuck in one of them. I find this happens when there is a big gap between what you want to do and what your body wants to do. Connecting the mind to the body is not just for when you are exercising, it is also in deciding what you are doing. This happens when we lose site of our start position. We all know where we are going to, and that is a healthy lifestyle but we are often starting further back than we think. If you are struggling to get started, can you take a step backwards and start from there? Started where you left off, rather than where you are now. How are your fitness and strength levels? Not taken you menopause symptoms in account. This can be tiredness levels or stress which means muscles are tight or perhaps digestive upsets. Not paying attention to how exercise is affecting your body. Is it adding to the stress or helping to release it? It can be a frustrating process but there is a process you can follow to help you get started to build strong exercise foundations for when you are past this phase of the menopause and you can hit the ground running! The most important thing about exercise is exercising! Aim to do something 2-3 times a week and 10 sessions a month. Tick the list! This isn’t just about going to a beginners Pilates class. It’s being a beginner again with how your body is moving and what you need to strengthen and stretch. You may find how you want to exercise has changed. You may not want to be in a class, you may prefer to workout on your own or outdoors. If you know your energy levels fluctuate you may not feel like doing the what you turned up to do. Rather than going home, do you have a plan b session? If all your sessions are plan b sessions then you need to take a long hard look at the gap between what your mind wants you to do and your body needs you to do. Are you getting enough rest? The body repairs itself by how you are eating and also sleeping. Lack of sleep or a disturbed sleep is unfortunately common during the menopause. It is ironic that the best thing to balance our hormones (sleep) is one of our biggest symptoms during the menopause. What exercise should you do? If you can’t sustain a progressive programme then working on your exercise foundations is not only time well spent, it is generally much easier to maintain a consistent practice with and these foundations are for all types of exercise modalities. It can feel like you have a different body during the menopause, building strong exercise foundations will help you create the body you want once you are through this phase and your hormones have balanced. Whether you weight train, run, do yoga or Pilates, how you breathe is important. The menopause can make you sensitive to stress which often leads to shallow breathing. Taking time to notice how you are breathing and improving your breathing patterns will help to calm you as well as breathe move efficiently. Any exercise you do will be improved by having a strong core. Although Pilates isn’t the only way, attending a Pilates class is the usual way to improve your core. Keeping in mind there are various styles of Pilates and also the class instructor will bring their own specialities to the class. Many of us are conscious of our posture but don’t often have it as has a high priority. During the menopause is a great time to focus on improving your posture, whether that’s your upper body posture, your lower back. Improving your posture will help your body to move more efficiently and with less effort when you add back in exercising with intensity. You don’t get into your late 40s without having a broken bone, injury or tight muscles. Similar to our posture it is worthwhile spending your time on improving the range of movement around a joint. Perhaps you have had physio exercises to do in the past that you have stopped doing? It’s worth digging them out to start again. Where do you need to strengthen and lengthen? 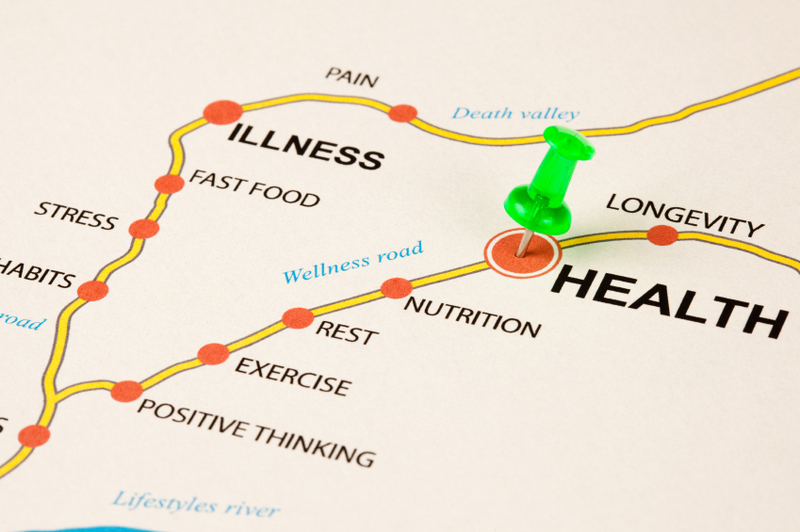 What do you need to do to look after your personal health? We know cardio is good for our heart and lungs. Weight training is good for bones, joints and ligaments. But what is good for you personally. Anything illness or injury you need to look after and focus on? Balancing Hormones is priority during the menopause. Did I mention sleep? If you think how much sleep teenagers need and you are at the other end of the hormones imbalance, you just have more responsibilities! Reducing stress levels, as you can become more sensitive to stress during the menopause. Hatha Yoga is a good example of this and there are specific exercises that are good for the menopause. Stress affects everyone differently, you may have tighter muscles or digestive disruptions that some poses can help with. Anything that you haven’t looked after in the past, usually bites you in the bum during the menopause and forces you to look after it! So much changes during the menopause, most of it feels like we have little control over it. It is easy for the mind and body to be on different wavelengths. Your mind might want you to exercise to help you lose weight but your body wants to rest. Being able to connect head and mind can speed your journey back to fitness. In my Hatha Yoga class you will spend the first few minutes ‘arriving on the mat’, in my Pilates class whenever we change alignment we take a few breaths to do a body scan. You don’t need to be in a class to do this. It can happen anywhere. While you may not be able to exercise in the same way, there are many ways you can train and focus on. 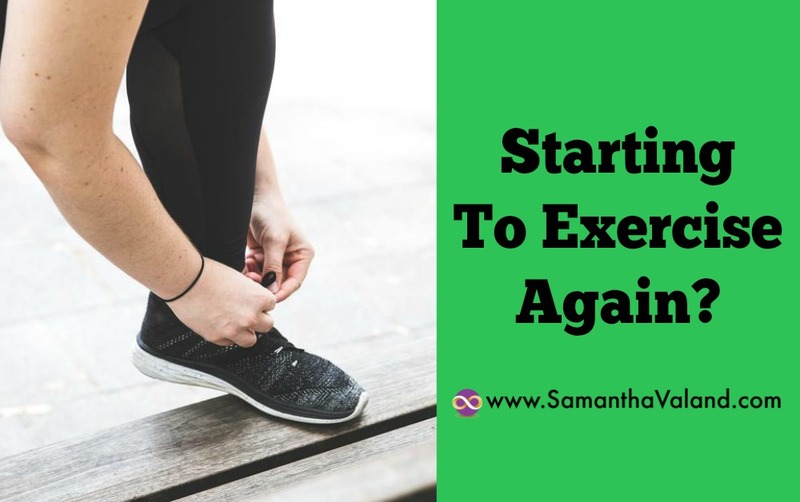 Knowing there is a process that you go through to start exercising again, can be helpful if you are feeling frustration when you just can’t just get going! The most important thing about exercise is exercising. How can you make that happen and keep moving?